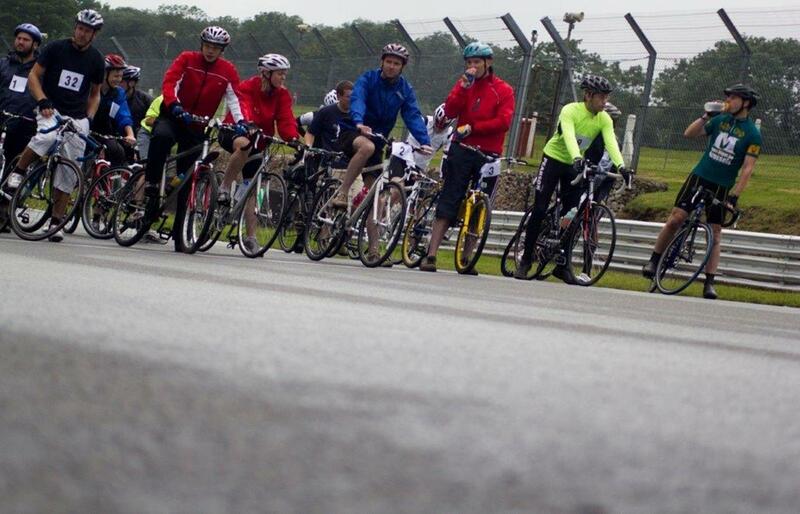 Leading charity Action for Children is holding sponsored bicycle rides on Friday 13 September 2013 at two of the world’s most iconic motor racing venues – Snetterton in Norfolk and Brands Hatch in Kent. 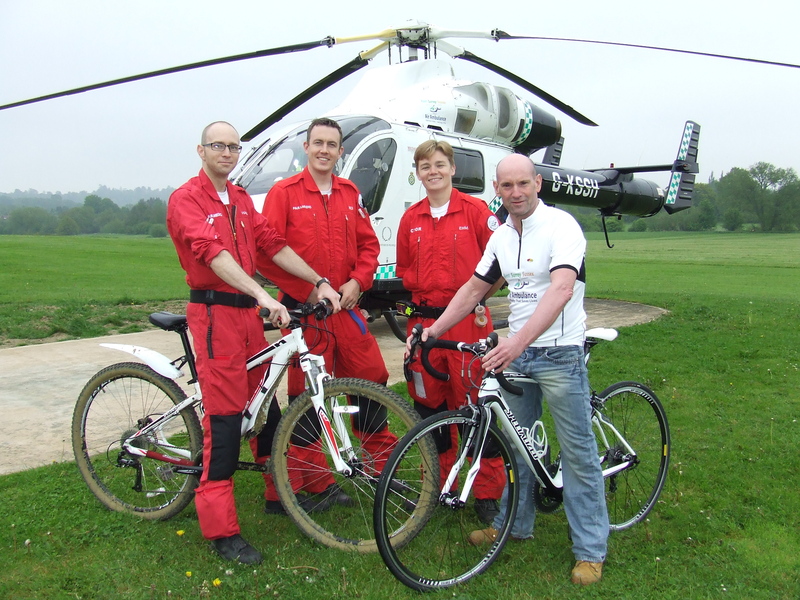 Life-saving charity Kent, Surrey & Sussex Air Ambulance is appealing for cyclists to join its new-look Double 100 bike ride this summer. The 100-mile or 100km ride on June 23rd will this year start and finish at the Surrey and Sussex helicopter base at Redhill Aerodrome. Both new routes take in all counties covered by the two helicopters and the 100-mile route will pass through Marden in Kent – the home of Kent Air Ambulance. More than 80 riders including Air Ambulance crew members and former patients took part in the inaugural Double 100 from Dunsfold Park, raising £12,000 for the charity. Organisers are aiming for more than 100 entries in this year’s event which has kindly been sponsored by Howard Cundey Chartered Surveyors and Estate Agents, Asda, Warburtons and Wellbeing People. 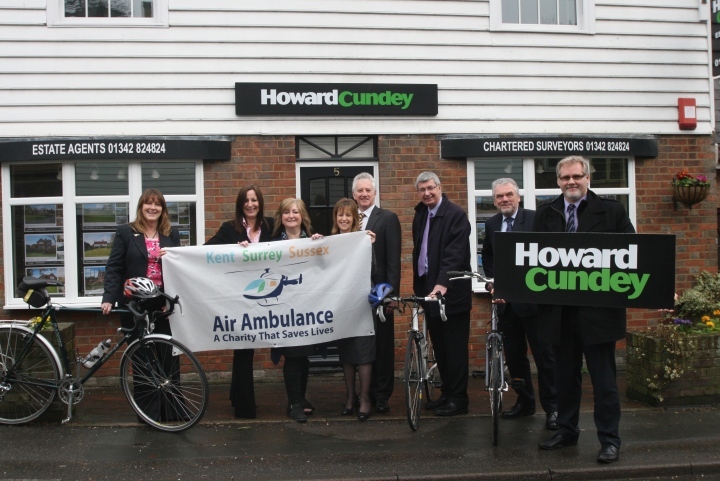 Howard Cundey Partner Tim Foulkes said: “With a network of offices based around the counties covered by the Air Ambulance, we are delighted to be the main sponsors of the charity’s 2013 Double 100. The Double 100 is open to regular and occasional cyclists with feeding stations along the scenic route. 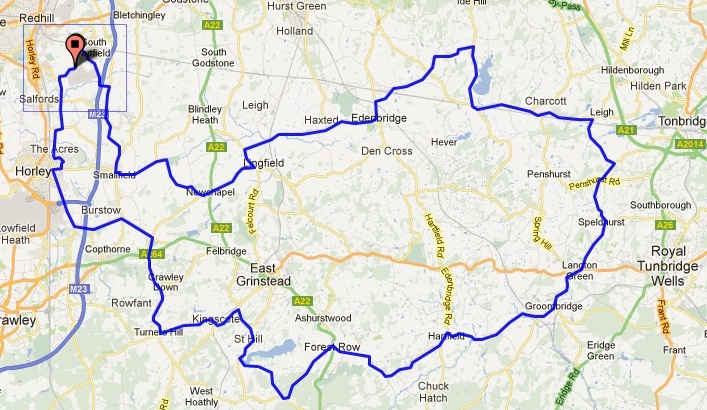 To register go to http://www.kssairambulance.org.uk/FundRaising/Double100CycleChallenge .